Hi-tech MS Polymer technology. A superior strength, fast setting all weather adhesive. Holds 300kg per m2 in just 15 minutes. Sticks to wet surfaces and is suitable for interior and exterior use. 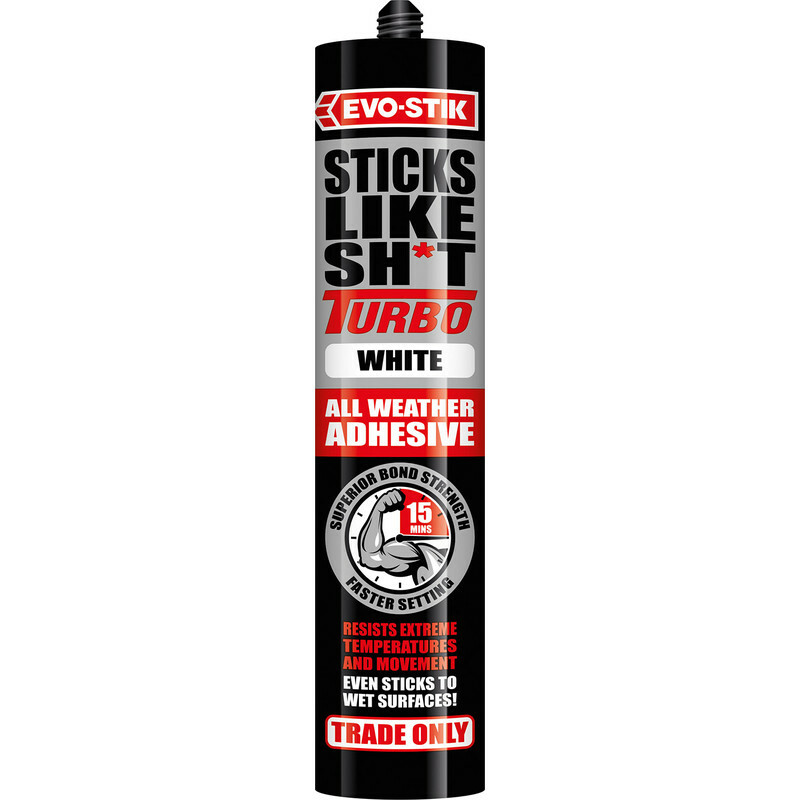 Sticks Like Turbo 290ml White is rated 4.5 out of 5 by 4. Rated 5 out of 5 by wjim from Superb adhesive You pay a little bit more for this adhesive but it is worth the extra money. It is extremely strong and bonds in about 15 minutes. I have used it on skirting boards instead of nails and works brilliantly. I have also used it on wood, plastic, metal and even glass. Rated 5 out of 5 by Bucksfizz10 from Great sticker I bought this with 2 cheaper alternatives to see if it was worth paying so much. Well worth it. It is the first adhesive that I have bought which will actually stick wood battens to the internal concrete walls of my garage. First time in about 20 minutes with no props required. I have since drilled an mdf false wall to the battens and hung my tools from it and it is rock solid. I had previously used the cheaper adhesive available which did not stick to concrete as stated on the tube, and had to remove and re attach with this stuff. 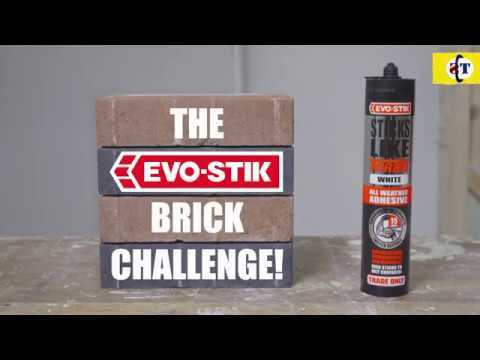 If it will stick to concrete then it will stick to anything and I will definitely use this again rather than waste money on cheaper alternatives which are not man enough for the job! !